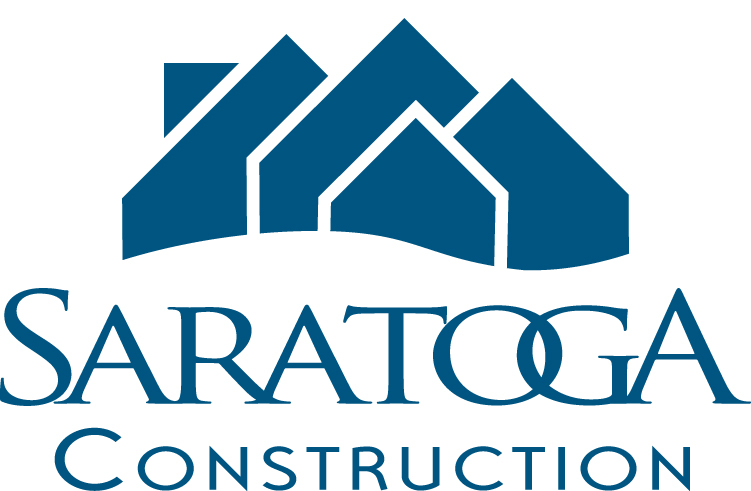 Saratoga Construction is proud to be a building partner with Energy Panel Structures, one of the industry leaders in SIP panel (Solid Core) building systems. What is Solid Core Construction? When we build with SIPs, or Structural Insulated Panels, the wall and roof panels are built by joining high performance rigid foam insulation to Oriented Strand Board (OSB) or plywood. 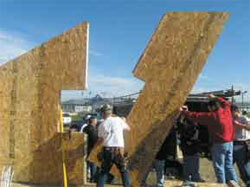 The thickness of foam is adjusted to increase R-Value. Exterior and interior facings are shown with in this photo with OSB. Drywall, knotty pine, or other interior finishes are field applied as needed. The building package includes pre-assembled, insulated headers, along with window and door cutouts and horizontal and vertical electrical chases. Using solid core roof panels, a home can have high vaulted ceilings or an “attic” area that is conditioned space inside the building envelope. Ridge beams with SIP panels can eliminate trusses and open your vaulted great room with extremely high R-values and air-tight panel systems. The first Solid Core type construction was made in 1935 and the buildings are still in use today, nearly 70 years later. The biggest benefit of Solid Core Design versus a stick built home is energy efficiency. Don’t pay to heat and cool the outdoors! Air leakage and improperly installed insulation can waste 20 percent or more of the energy you pay to heat and cool your home. Typical homes have so many leaks, it’s like having a window open all the time, winter and summer. The EPS (Expanded polystyrene) insulation is solid and does not allow air movement. 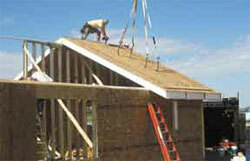 The solid core resists water; fiberglass batt insulation absorbs water. The stick frame has framing thermal shorts but Structural Insulated Panels don’t. The closed cell panel prevents dust and allergens from penetrating the building. Framing insulation and sheathing are combined into one panel allowing faster construction. Larger clear spans can be designed over stick-built projects. The panel loads are distributed over the entire panel due to the continuous bond between the sheathing and rigid insulation. Eighty foot clear spans with freedom of design are easily accomplished. For more information about SIP panel (Solid Core) construction we encourage you to visit www.EPSBuildings.com.